Changes in the Earth's environment, societies and economy are the sustainability issues that will define the 21st century. Do something worthwhile in one of the fastest growing sectors of the world economy, with an Earth, Society and Environmental Sustainability Bachelor of Science degree. Sustainability is one of the fastest growing field in the U.S., with people skilled in applying their environmental understanding to communication, consulting, planning, policy, science, government information technology and more. Our flexible degree is designed to match the skills and interests of the student to prepare them for the career they want. Internships can be an important way to make contacts and learn more about future careers. Research experiences can set you up with technical skills, We give capstone credit for internships and research and help our students find the real world experiences that they need. Our degree is suitable for anyone with an interest in sustainability. In doesn’t matter if you plan to develop sustainability skills in in policy, people and society, communication, natural science, business or technology – we’ve got you covered with a flexible degree that lets YOU choose your specialty. 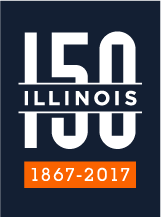 Our program is based on campus at the University of Illinois at Urbana-Champaign – but we’re the only UIUC bachelor degree that has the flexibility to be done entirely online. Take courses on campus, online, or a combination of the two. Experience a community of fellow sustainability students who work with each other to make the world a better place! Talk to us now to learn more!